Albert Duhler's professional watercolor pencils offer artists a variety of expressions in watercolor drawing, contrasting, and coloring. 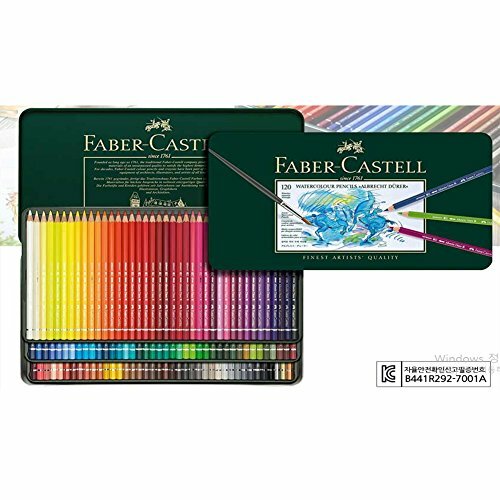 Combined with Farber Castell's experience, high-quality pigments have led to the production of unrivaled watercolor pencils. If you paint with a wet brush, you can express delicate watercolor colors naturally, and you can express unique and complete colors. Depending on the paper used, the pigment is completely soluble and can express perfect watercolor effects: when the pigment is dry, the color is superimposed and the picture is permanently dried, without redissolving the other color layers. For this reason, many watercolors prefer to use the Albert Duraer watercolor on precise sketches of watercolors, and when accompanied by a trip to the watercolor, they bring along a professional Albert Duraer watercolor.